Beaker filling at an exponential rate. Understanding exponential growth is essential to understanding the fundamentals of population related issues. Populations always attempt to grow exponentially, and we must understand what that means. To illustrate the power of exponential growth scientists have used a "bacteria in a beaker" analogy or model. For example, Al Bartlett's Forgotten Fundamentals of the Energy Crisis - Part 4 article, and David Suzuki's One Minute to Midnight video. In this model, the beaker is the Earth and the bacteria are humans. When the beaker is full of bacteria, the bacteria will suffer and when Earth is full of humans, we will suffer. Unfortunately our scientists have not comprehended the ramifications of what they are describing. Dr Bartlett and Dr Suzuki both make the point that at 59 minutes the beaker is only half full and nobody recognizes a problem, then a minute later there is a huge problem because the resources are gone. They both make the point that people will not recognize the problem until it is too late, but they both fail to recognize that therefore this situation must have happened a long time ago. Their statements are correct, but both models are flawed and miss the essential concepts. Both describe the use of a fixed quantity of a resource, Bartlett refers to fossil fuels and Suzuki says there is a fixed quantity of food in the test tube that will be consumed, which means both end with obvious catastrophic consequences. Neither is discussing the situation where there is a renewable production of resources, which will obfuscate the consequences. Most importantly neither explains the solution. 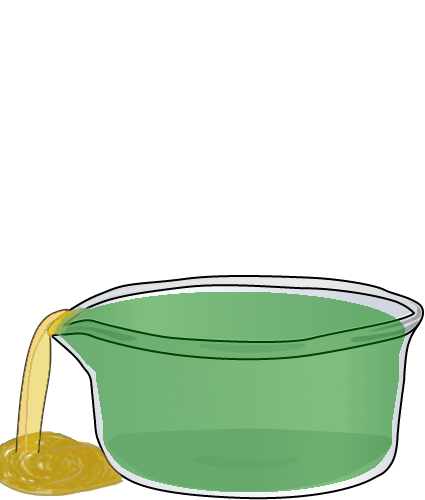 Suzuki says that the beaker has a finite quantity of food in it such that when the beaker is full the food is gone, which means that all the bacteria die at 60 minutes. That is a poor analogy to the Earth where there a limited rate of food production. Instead, let's say that the beaker produces food at a rate that will keep all the bacteria in the beaker alive. The bacteria that cannot fit in the beaker spills over the top, dead. Notice what happens at 60 minutes, the bacteria in the beaker keep reproducing, but no more can fit. The extra flow over the top and die. Also notice that after 60 minutes nothing really changes. At the 62nd minute the situation is the same as the 61st minute. Another flaw with this model is that bacteria never die. 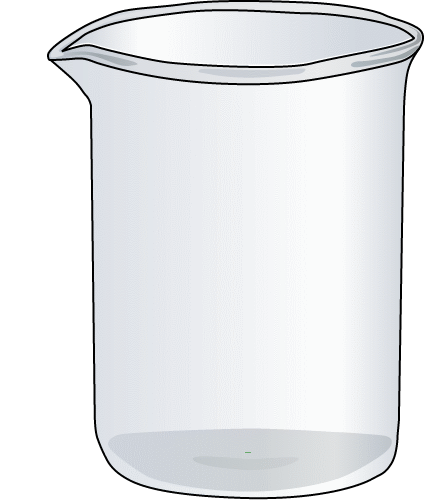 This means that when the beaker is full, all reproduction should stop to avoid having reproduction kill existing bacteria. When the organism has a limited life span, then it needs to reproduce to ensure it does not go extinct. You can imagine holes in the beaker that let life flow out of the beaker. Ultimately a limited life span only changes the rate that the population grows, and since we arbitrarily picked a rate to match 60 minutes to a full beaker we can pick a life span and reproduction rate that creates the same exponential growth rate. Additionally the model should be changed to have a species that uses sexual reproduction so that we can see what individuals must die. In that situation if the adults average x babies where x is greater than 2, then (x-2)/x children must die when the beaker is full. This is saying that when the beaker is full, the average number of babies that adults create determines the child mortality rate. Or to be more blunt, births will kill children when the beaker is full. Notice that only children have to die. Nature, or rather the finite sized environment, does not care how they die, they simply cannot exist. This tells us that the outcome of reaching the limit is child mortality, and more specifically a higher rate of child mortality than is possible. Scientists are generally looking for some sort of obvious calamity when the population reaches the limit, and therefore do not recognize that we are at the limit. A final improvement to the model is to enable the size of the beaker to change. Humans have increased the size of the environment by using more productive techniques such as farming over hunting/gathering for acquiring sustenance. If all humans practiced hunting and gathering the number of humans Earth can keep alive is much much smaller than today's 7+ billion. The question is whether we humans managed to increase the size of the beaker before our numbers reached the limit. Also if we did reach the limit at various times in the past, such that the beaker was overflowing, did we manage to increase the limits and stop that overflow? The overflow is dead children caused by averaging too many babies. Is there anything to keep humans from reaching the 60th Minute? To understand whether humans are at the limit and therefore killing children by averaging too many babies we need to answer a few questions. First, do we humans have the ability to average enough babies such that our number could have reached our current 7+ billion numbers before today, given how long humans have existed? There is no doubt that we have sufficient fertility and more than enough time. Today there are at least 40 million people proving that we can average more than 6 children. The countries of Niger, Mali, Burundi, and Somalia all are averaging more than 6 children and their total population is above 40 million (The World Factbook). To get a feel for what this means, let's assume a horrible child mortality rate where 1/3 of all children die. That means an average of 4 children are reaching adulthood and reproducing. This will double the population every generation or roughly every 25-30 years. At this rate 2 humans will become a population of 4 billion in 32 generations or about 800 to 1000 years. It is estimated that humans have existed with our current DNA for about 200,000 years. Clearly humans have enough fertility and much more than enough time to have reached a higher population number than the current 7+ billion. Therefore, either we humans are at the limit or we humans have some way to limit our fertility such that we do not reach the limit. Notice too that human population numbers rarely increased at an exponential growth rate, which supports the concept that we have hit the limit. Second, do we clever humans limit our births to avoid the calamitous situation where we reach that 60th minute? To answer that let's first refer back to Suzuki and Bartlett. They both make the point that the bacteria will not recognize the problem before it is too late. At the 59th minute the beaker is half full. One generation later, it is full. In order to ensure the environment does not fill, we would have to recognize the impending disaster and devise ways to reduce the number of children the group is averaging to a level that will keep the population from reaching the limit. There are many different social rules that humans have created to limit the number of babies we create, for example, marriage and the taboo of getting pregnant out of wedlock. In addition there are physical mechanisms that limit the fertility of women when times are stressful. These have fooled many scientists into believing that we do control our overall average number of children and therefore stop our population growth before hitting the limit. Unfortunately none of these can bring the fertility low enough to prevent the population from growing. An extreme example will illustrate this. Most people understand that they should not create a baby if they cannot afford to provide for that child. Let's take that to the extreme where nobody has a child that they will be unable to keep alive until adulthood. If that algorithm is performed flawlessly, then no child will be killed as a consequence of averaging too many babies. However, notice that if the other people average say 3 children, then 1/3 of all those children will grow up to be so poor that they know in advance that they will not be able to keep their babies alive. The notion that somehow we can know in advance and not create the baby, if in the next 12-20 years we will be unable to provide for that person, is of course absurd. There are plenty of child starvation deaths every year providing proof that we fail to implement this algorithm. In addition, notice that at best this produces poverty so severe that the people suffering it know that they will never be able to afford a child. There are physical mechanisms that shutdown or limit fertility to prevent pregnancy in stressful situations, but again, the subset of individuals that are suffering this stress cannot prevent those that are not suffering from averaging too many babies, and creating that stress. When the population is at the limit, averaging too many babies creates child mortality. However nobody really knows this, so the notion that somehow we limit the number of babies we average in response to suffering the consequences, as an argument that we are not at the limit, makes no sense. We humans never put the cause of death as "too many people, because we averaged too many babies". For example someone posted "John, you claim the problem is all overbreeding??? Most infant deaths are caused by DIRTY WATER!" on the Suzuki youtube.com article in response to my comments. Notice how this comment is attempting to use a proximate cause of death, death by dirty water, to state that these deaths were not caused by averaging too many babies. All causes of death satisfy nature's refusal to feed too many individuals, but notice the stunningly poor choice of an example cause of death. There is no lack of clean water on this planet, except when 7+ billion humans all need it. The only thing stopping people from access to clean water, is other people. Finally, the theory of evolution depends upon excessive breeding. It is wishful thinking to expect humans to be different from all other species in this regard. When we use more efficient technologies to extract sustenance from the environment, we increase the capacity. In the previous section, we showed that there is nothing to have prevented humans from reaching the 60th minute a long time ago. That should convince us that we are already at the limit, but it would be best if we had proof that we are at the limit by observing the effects. To understand what the evidence will look like we have to understand that humans do not have uniform wealth and also form into groups. But first we need to dispel the notion that a rising population indicates that we are not at the limit. How is it possible that humans are at the limit given that we now have the largest population ever and our numbers continue to grow? The simple view is that we can't be at the limit if our numbers are continuing to grow. This simple view is not realistic because we are capable of increasing the limit. This happens when we use more effective techniques for gathering sustenance. For example, when the potato was cultivated in Europe, the Europeans increased the limit. Similarly, when we learned how to fix nitrogen to make fertilizers we raised the limit. This means that it is entirely possible that we are at the limit and increasing the limit at the same time. This matches what we observe nicely because human population growth does not match any simple mathematical growth formulas that one would expect if indeed our numbers were below the limit. The population growth matches the increases in our efficiency at extracting sustenance, which clearly one would not expect to match any simple mathematical formulas. Humans do not have a uniform level of wealth and also group themselves just like many other species. The grouping happens at family, tribe, religion, and on up to the country level. The grouping, or rather the significant grouping, is always at a level such that there are many groups within each separate environment. Each group is competing against other groups within that environment for sustenance, but the whole population in that environment is averaging too many babies. This means that we would not expect some uniform level of misery when we reach the limit, and we would not expect a random distribution of the necessary child mortality. We would expect that the stronger groups would command the resources they need and the weaker groups would suffer a significantly higher rate of child mortality than the stronger groups. With globalization there is now only one environment, the whole Earth. Cheap transportation has effectively eliminated all isolated environments so now the child mortality caused by over breeding should be evident by relatively high child mortality in the groups that are formed over the Earth. If we see countries with significantly higher child mortality than other countries, then we have the evidence we expected. In addition, as shown on Explanations, given the general ignorance of this information, we would expect a low adult life expectancy along with the high child mortality. High child mortality along with low adult life expectancy clustered such that whole countries suffer significantly worse than others, exactly describes our world today. Evolution minimizes the fertility rate of the species, but does not allow the fertility rate to drop to the point where zero deaths are caused by births. That minimization happens because individuals of the species group together and help each other in that group. Consider two different chimp troops, each at the same population size, in one environment. Troop A has behaviors that limit fertility compared to troop B. Say troop A is averaging 2.5 babies, and troop B is averaging 3 babies. The population cannot grow, because the total population is at the limit of what the environment can keep alive. This means that 20% of troop A's children die, and 30% of troop B's die. There are no mechanisms in nature that ensure that exact death rate, except starvation. Starvation is the swing producer that will ensure that the death quota is met. Figure that both suffer some percent of quick deaths, like accidents and illnesses, leaving Troop A with a significantly lower number of starvation deaths than troop B. Both troop's members care for these individuals that are starving and therefore troop B is suffering more malnutrition than troop A. Troop A will capture more territory at the expense of troop B because they are in better average health. If they control more territory, they will grow their numbers, at the expense of B. Notice what happened here. Troop A grows their numbers because they average fewer babies than troop B. Evolution selected a behavior that reduces fertility. Now consider the situation where troop A figures out a way to ensure that they do not average too many babies. They put in place a system to ensure that births do not kill children. They have a queue of individuals waiting to get pregnant. When a member of the troop dies, they release someone from the queue to have a baby. The average health of Troop A is excellent, because none are suffering starvation. They have a higher average adult life expectancy, because the old are not sacrificed, intentionally or unintentionally, to free up food for a child. Their age distribution is radically different than troop B. The ratio of old to young is like the difference between Japan (A) and Nigeria (B) today. Troop B has a rage fueled by starvation. They bring more numbers of fighting age individuals to the battle. They might even suffer more casualties than A in battle, but after the battle is fought, B's survivors are on average younger than A's and now have sufficient food because that battle briefly brought the chimp population below the limit, thus temporarily ending starvation. Troop A must turn on the fertility spigot to recover their losses, which is also true of troop B, but B's fertility spigot was always running. There is less delay for troop B to regrow their losses. Troop A simply cannot withstand the unrelenting pressure of B's unrestrained fertility. Evolution eliminates the behaviors that result in zero excess fertility. Where does this system settle? It settles at the point where the starvation deaths are largely attributed to deviant behavior. The individual was a runt, so the troop let it die, or the individual was a jerk, so they kicked it out of the troop. It settles at the point where we say that Nigeria's high child mortality and low adult life expectancy is caused by incompetence, corruption, or a drought. It settles where scientists do not attribute the poverty, and child mortality, that developing countries are suffering to the fact that everyone is averaging too many babies. It settles where scientists see countless factors contributing to a lower fertility rate, but fail to notice that none of these will ensure a low enough fertility rate such that it is not causing some child mortality, and not attempting to drive our numbers higher. For the past two hundred years our numbers have exploded at an exponential rate. This has helped us fail to understand what is going on. We see the numbers rising and simplistically conclude that we are not at the limit. We see them rising at an exponential rate and are concerned about hitting the limit soon, instead of recognizing that we are expanding the limit at an exponential rate and at the limit as it expands. Unfortunately there is an even bigger problem. The higher limits are possible because we are burning fossil fuels. This means that today we are acting in a manner that to the best of our knowledge will cause huge numbers of premature death in the future. It is not because we are burning fossil fuels, or because we are releasing Co2 into the atmosphere, it is because we have not limited our births to prevent our numbers from rising past the point where we are capable of keeping all alive without destroying the resources necessary to achieve that feat. The fact that we are at the limit, and therefore births are contributing to child mortality, is enough to conclude that we must limit the number of births each can have. The fact that our numbers are higher than we know how to keep alive without consuming resources faster than they renew, tells us we must limit the number of births to a value below an average of 2, so that our numbers decrease. We humans have always attempted exponential population growth. There is no mechanism that throttles our fertility to prevent hitting the limit, and the evidence of being at the limit and averaging too many babies is obvious, if you know what to look for. We are killing children because we average too many babies. The excessive average number of babies we are creating world wide is causing the horrible high child mortality that we see in developing countries. Our ignorance of this is causing the associated poverty and low adult life expectancy. In addition, we have built up a huge potential for premature death by allowing our births to drive our numbers well past the point where we are capable of keeping all alive without destroying the resources that are needed to keep all alive. This tells us that we must ensure that we average less than 2 babies until our numbers are low enough that we do not need to consume resources faster than they renew in order to keep our numbers alive. No amount of reducing consumption or leveling consumption will stop the child mortality caused by over breeding. And no amount of conservation will lessen the huge potential for premature death. It is only stopped by limiting the number of babies we each create. Notice that both Al Bartlett (Forgotten Fundamentals of the Energy Crisis - Part 9) and David Suzuki have no solutions other than to limit consumption, which cannot succeed.